Since microsilica particles are only about 1 / 100 the size of cement grains, the material may be hard to batch and ship. These handling problems may be overcome by mixing microsilica with water (and sometimes other admixtures) in a slurry which replaces part of the normal concrete mixing water. Densification and pelletization have also been tried to simplify the mixing and handling. Silica Fume has been used all over the world for many years in the area where high strength and durable concrete were required. Silica Fume improves the characteristics of both fresh and hard concrete. For provision of a concrete resistant to the most aggressive environment, the most important property is the permeability. Lower the ingress of movement of water or chemicals; lower the deterious reactions such as sulfate attack, reinforcement corrosion…The reaction between Silica Fume and the calcium hydroxide, released as the cement hydrates, provides a dense impermeable pore structure. Although the total porosity of the Silica Fume concrete is similar to the OPC concrete the average pore size is much finer, conducting to a large reduction of permeability. The Silica Fume reacts with the cement paste to form additional strong Calcium Silicate Hydrate (CSH) providing higher strength. Silica Fume reduces bleeding and enhances the cement paste bond to the aggregates. Thanks to its pozzolanic effect (reaction with Ca(OH)2 ), and therefore to the strength improvement, Silica Fume can be used to reduce to the cement content of the mix. In addition of the cost saving benefit, this will reduce the total heat of hydration and can improve the performances of the concrete in terms of chemical resistance. Prior to develop the advantages of using Silica Fume to improve the concrete sulfate resistance, it may be interesting to highlight the basics form of sulfate attacks and the properties of sulfate resisting cement.
. as certain sulfate react with hydrated lime and the calcium silicate hydrate the sulfate resisting cement provide less protection than expected.
. low C3A cements are more susceptible to reinforcement corrosion attack. The reactive aluminates in the cement will react with the gypsum in cement during hydration. This process is harmless as the ettringite does not produce expansive forces and is stable in sulfate solutions. 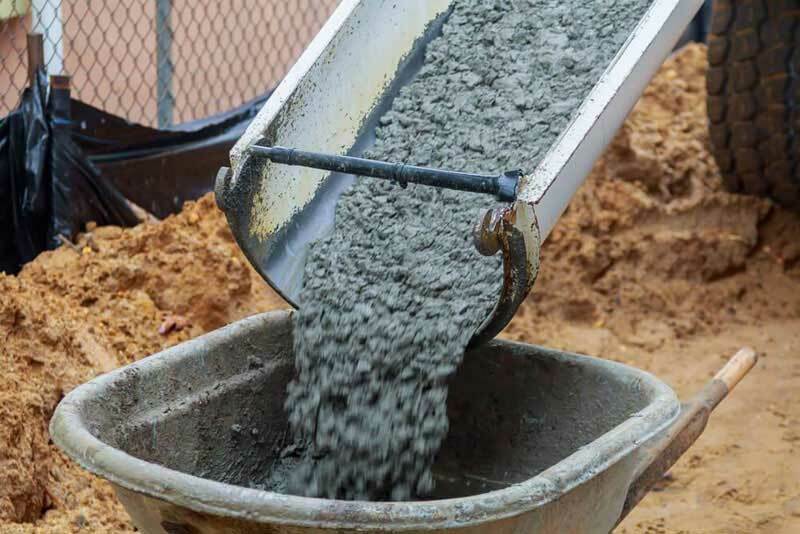 If the quantity of reactive aluminates in the cement is too high, then their hydrate form will be available to react with sulfates after the cement has hardened. This will produce expansive ettringite and cracking of the concrete. The second principle cause attack is the acid interaction of sulfates ions and calcium hydroxide, causing gypsum formation. It has been shown that the cation (calcium, Magnesium, Aluminium, Ammonium) of the sulfate salt affects the type and the severity of the attack. In a marine structure, the performances of the concrete in terms of sulfate resistance must be taken into consideration for concrete design but the resistance to chlorides diffusion through the concrete is generally a main concern as well. Some studies conducted in several countries proved that Type 1 cements (with high C3A content) blended with Silica Fume used in combination with a high range water reducer provide high durable performance against chloride-induced reinforcement corrosion and against sulfate attack.
. Silica Fume reduces the permeability of the concrete. Water and chemicals ingress are thus reduced.
. The ability of high C3A cement to complex with chlorides results in the formation of insoluble compound, able to reduce the mobility of free chloride ion to the reinforcement-concrete surface.